This image is part of the U.S. Geological Survey's Water Science for Schools website. Other imagery includes photographs of water being measured and sampled, being used in various ways, and illustrations of how human activity influences the water system. Written descriptions of activities being shown are provided. 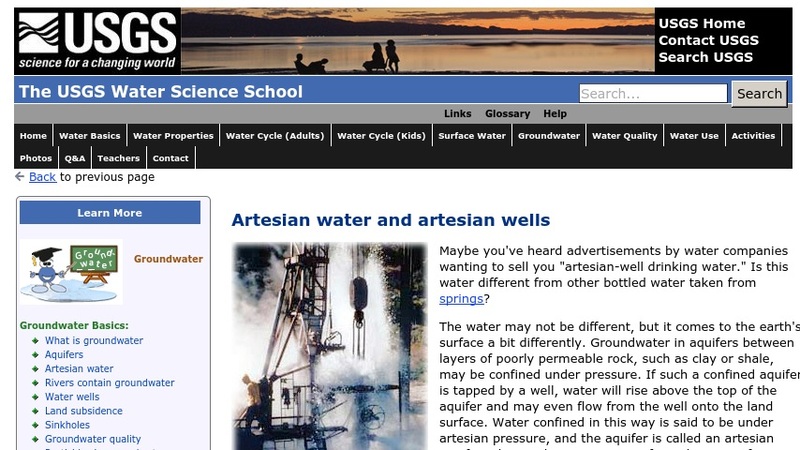 Links to other parts of the Water Science for Schools website are also present.